Provide coding and billing support related to surgical procedures, office visits, compliance questions and supporting documentation and help in other areas need. These questions can be made via email or by phone cell. The fee is broken down per number of questions per month 1-5; 5-10; 10-15; 15-20; 20-25; 25-30 and 30 to unlimited. Provide surgical operative note coding for Orthopedic related procedures. If your group is struggling to stay up with operative coding and billing either due to back-log, coder retiring or out of leave, or while trying to hire a coder for your group, this service is available. The fee consideration would be based on length of timie needed, number of surgeons to code for, and types of cases. E/M - Perform an audit for physicians and/or midlevel practitioners. This audit will consist of a minimum of 10 E/M encounters for each provider. The records need to include the office/hospital notes and supporting information referred to in the notes and the office encounter /superbill /communication slip that is generated to show the levels of service selected. Each provider will receive a spreadsheet showing the detailed information found during the audit process for each record audited. A detailed report/ analysis will be provided with recommendations for further action including education where indicated. Surgical – Perform an audit for physicians and/or midlevel practitioners. This audit will consist of a minimum of 10 surgical operative notes per provider. See E/M audit for further details. A/R review – Appeal Process – Payer Issues – Help evaluate and review EOBs for possible errors in adjustments, write-offs, etc. 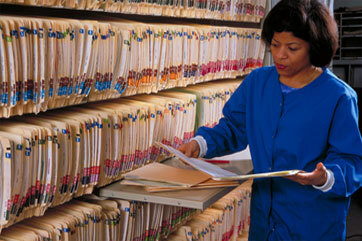 Provide sample letters and further education regarding medical necessity, unlisted and emergent technology procedures. Tools will also be provided to help with ongoing reviews. PMCC Coding Course - Basic coding course to be able to sit for either the CPC or CCS-P coding credential exams. This course can be custom-fit for your needs and time frame. EM documentation Templates - Select based on anatomic presenting condition. Can be used to customize your EHR/EMR systems to make sure you are capturing all the Exam; History and MDM elements. - send an email to info@margievaught.com for more details and pricing.